Renowned German flooring experts Parador bring their expertise to the UK market, redefining standards and expectations and changing perceptions about wood, laminate and vinyl floors. Parador Eco Balance floors reflect the company's dedication to 'green' processes and responsibly sourced timber and raw materials, and its range of laminate and vinyl floors showcase Parador's talent for faithfully replicating all kinds of materials. Parador flooring is characterised by aesthetic elegance, functional configuration, intelligent technology and heavy duty resistance. Parador vinyl floors have swell-resistant panels, and Parador laminate floors feature edge impregnation - both designed to provide reliable protection against moisture. 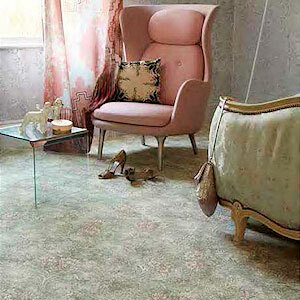 And Parador vinyl and laminate floors both benefit from the company's patented click system for easy installation. As one of the largest Parador flooring stockists in the UK, Vale Furnishers' dedicated floor department boasts countless Parador laminate, vinyl and wood options. Our collection is a showcase of the very best Parador designs and materials. They range from engineered wood floors that bring an authentic warmth to any home, to laminate parquet floors with varying plank formats and avant-garde styles, to budget-friendly vinyl representations of wood and stone.